How to Get Easter Songs for Free with Professional Music Recorder? Want to get Easter songs for free? You could download some classic Easter songs online for free from some free music sites. But you can’t get hot and new songs on Easter with no cost. However, with professional background music recorder installed, you can easily record background music off Easter movie and record Easter music as background. Free Sound Recorder and Leawo Music Recorder are two professional Easter background music recorders. Read the post carefully to find out how to get background music off Easter movie and how to record Easter songs for free. Part 1: How to Get Background Music from Easter Movie with Free Sound Recorder? Part 2: How to Get Easter Songs for Free with Leawo Music Recorder? 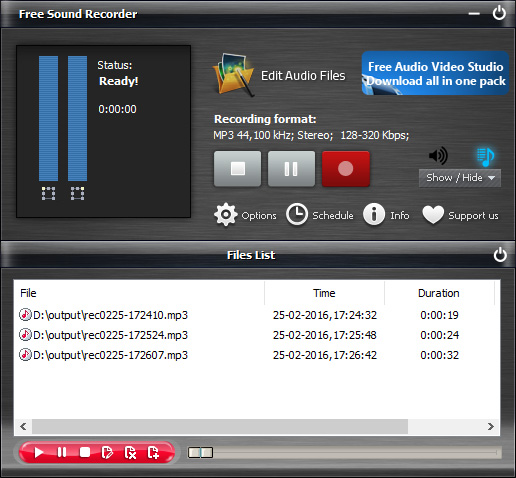 Free Sound Recorder is a free background music recorder, and can be used to record Easter music as background. 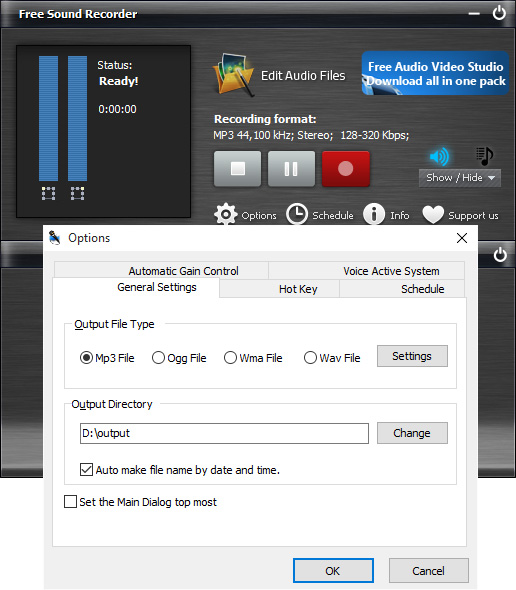 It is powerful enough to record any sound that comes from the computer’s soundcard, and of course background music of Easter movie is included. If you would like to record background music off Easter movie, and online music from Pandora, Spotify, Amazon Prime Music, Google Play Music and so on, you can make good use of this free background music recorder to process and record your favorite music and save as MP3, WMA, and WAV audio files. Download and intall Free Sound Recorder, and then follow the three steps below to record Easter songs for free. 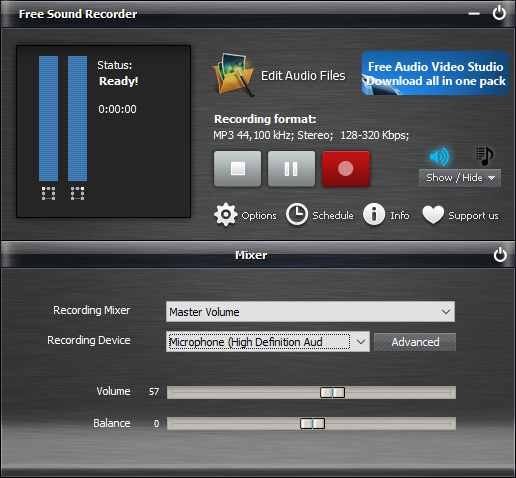 Open Free Sound Recorder to enter the main interface, click “Show mixer window” button on the UI to choose sound source from the “Recording Mixer” drop-down list and select proper recording device from “Recording Device” drop-down menu. At the same time, volume and balance can be adjusted. Click “Start recording” to start and at the same time play Easter movie on your computer. You can stop recording by clicking “Stop recording”. The recorded sound will be directly output to the output folder & listed in the file list with detailed information like filename, location, time and duration. You can play the recording with the built-in player. The free Easter background music recorder can only be operated on Windows operating system, supporting Windows XP or later, which means it doesn’t have Mac version. Unluckily for Mac users, they cannot enjoy the strong features of the program, thus they have to look for alternatives. Although Free Sound Recorder is powerful in recording Easter music, it doesn’t have Mac version. With Leawo Music Recorder, you could get any song you like for totally free. You don’t need to download the Easter songs you like or purchase them from iTunes or other stores. Leawo Music Recorder would help you easily record the whole Easter song with high quality and complete music info. At the very first, click the below links to download this background music recorder on your computer. (If you’re using a Mac computer, you need to use Leawo Music Recorder for Mac.) Install and run it after downloading. Then follow the below steps to learn how to get Easter songs or Easter parades for free with the professional background music recorder. Click “Audio Source” icon at the bottom-left corner and select “Record Computer Audio” in Audio Source settings panel. If you want to record songs not from your computer but radio or phones, choose “Record Audio Input” option. Set an output directory to save the recorded Easter songs and set the song format for recorded songs. Click the inverted triangle button on the top-right corner. On the popup window, set a format (MP3 or WAV) under “Format” tab and set output directory under “General” tab. Click the red start button and then play back the songs you want to record. This Music Recorder would start to record the Easter song you want immediately. Note: It’s important for you to follow the “click red button first and then play back Easter songs” order for complete Easter song recording. Easter song tags like artist, album, title, album artwork, year, genre, etc. would be automatically downloaded and added by this Music Recorder. Also, it allows you to manually edit the song tags. Righ click recorded songs and selecting “Edit Music Tags” option to edit music tags. Note: You can follow this guide to get Easter songs from YouTube, iTunes Radio, Last.FM, Pandora, and other computer streaming audios for totally free.